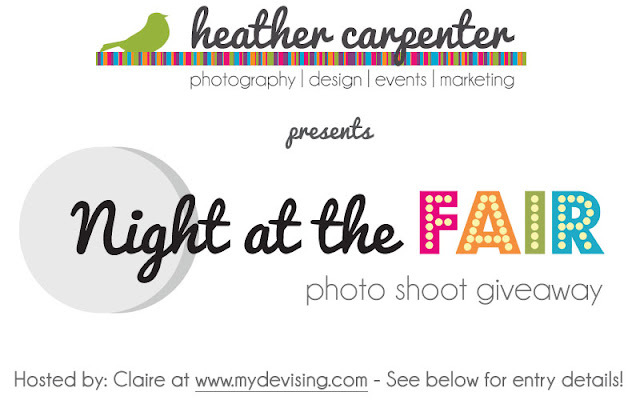 I am so excited to be hosting this giveaway from Heather Carpenter! We met in college and quickly figured out that we had a common interest: music. We were in Stage Band together and I always made sure to assign her the tough/command-the-stage kinds of songs - "Respect," "What's going on?" and a really rock and roll version of "Colors of the Wind," just to name a few. I'll stick with Feist, please and thank you. Anyway, we've kept in touch with each other and now she's a very accomplished photographer. 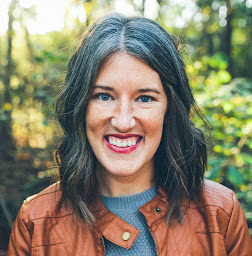 Visit her blog to check out her work! -For a weeknight, meet around 6:00 p.m.-6:30 p.m. to make sure there's some daylight. For a weekend, 4:00 p.m. is preferred, but earlier would work as well. -If you win, you'll need to schedule the shoot within the next 24-48 hours since the fair is over on September 23rd. -Winner will be announced on Monday. And remember, this is for anyone and everyone! It can be for a special occasion (maternity, engagement, senior pictures, bridals, etc.) or just for fun (a night out with family, a girls night, pics of your kids, you and your spouse, etc.). 1. Comment on this post saying why you want to win this photo shoot. This giveaway will close on Sunday, September 16th at 11:59 p.m. CDT. Good luck and enter away! hahaha I think Sara should totally win. A photo shoot at the fair with her cats??? TWO OF HER FAVORITE THINGS. It would be the best session I've personally ever seen :). I've 'liked' and followed everything! I would love to have a reason to make my husband take us to the fair! But I would also be SO interested in seeing a photo shoot of cats at the fair! That sounds fascinating! Ok...I did all 5 things.. I am already a follower of Heather Carpenter Photography! I need to have family photos done for Lucy's one year! Heading to like the other things now! I seriously can't live up to the cat hype! Seriously, make sure someone else gets it! Thanks for the entries! Winner will be announced tomorrow!